Just before Christmas, I was tasked with buying the perfect gift for my brothers friend that he could pretend he bought. Lucky me haha. 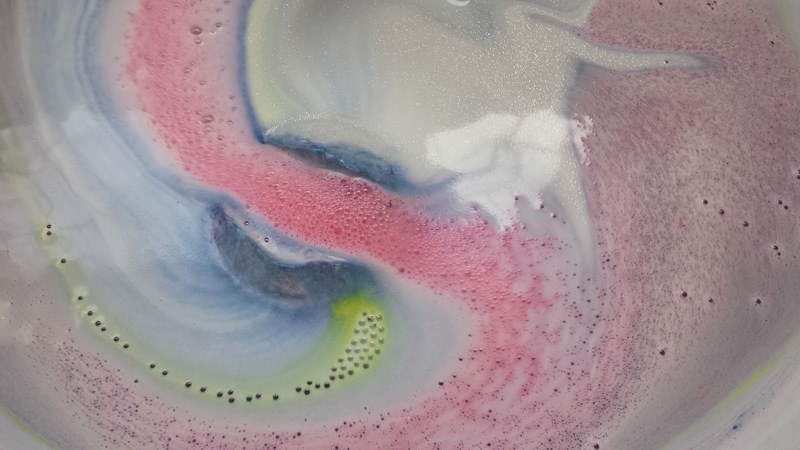 Of course my first choice for a girl that I didn't know had to be Lush, everyone loves a pretty bath! I was given a budget (LOL) so I bought a sparkly box and filled it with Lush Products. 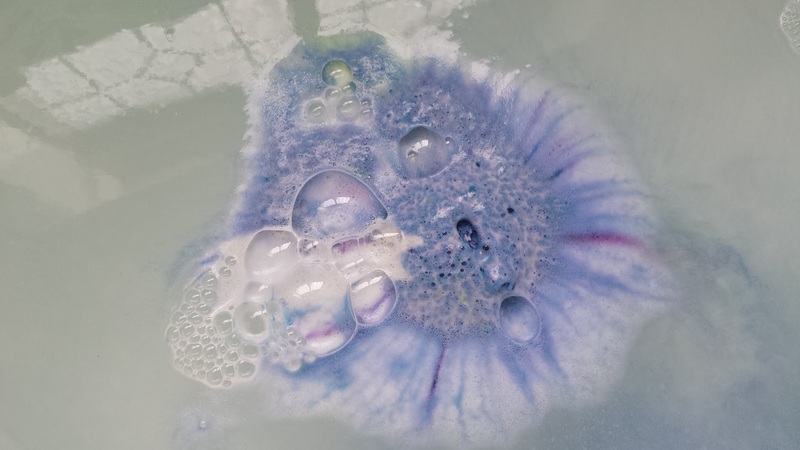 Apparently I got too much for my money so he let me keep a couple for myself and this Shoot for the stars bath ballistic was one of them! 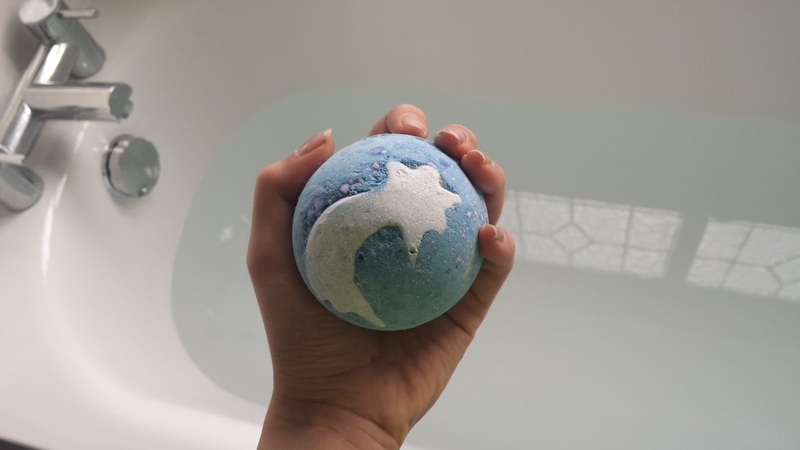 I initially picked up Shoot For The Stars because it's so pretty to look at as it is! 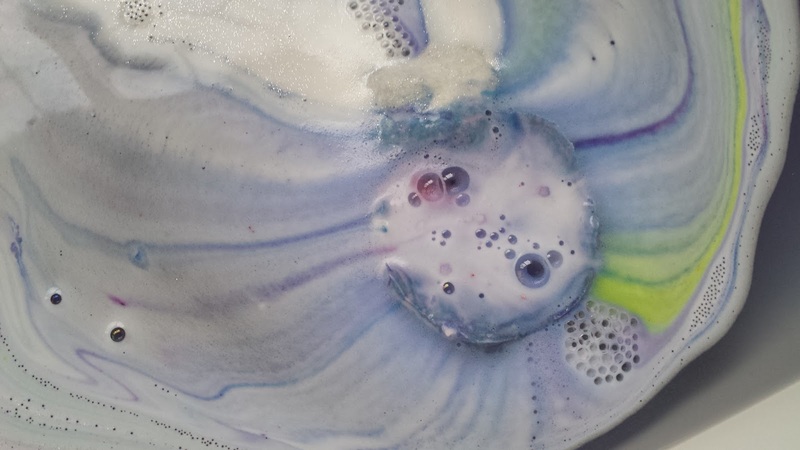 When I dropped it into my bath I loved that it spun a layer of silver glitter as I didn't expect this one to sparkle when I bought it, apparently this is a change from last years one which has a yellow star rather than a white sparkly one! 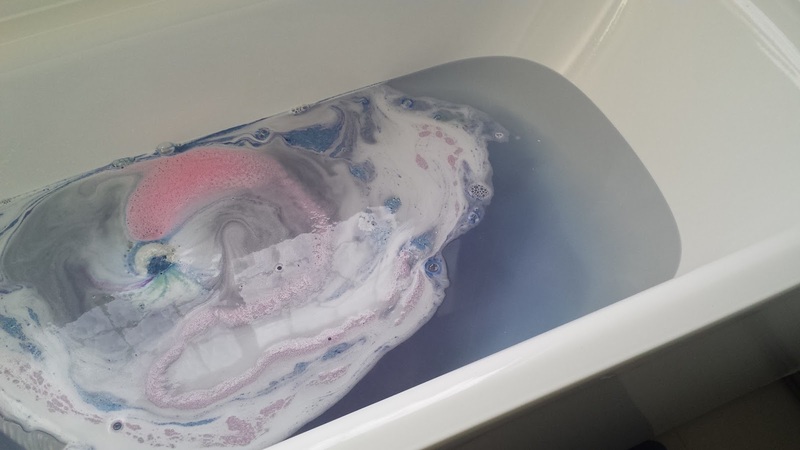 It was quite a slow fizzer but I also liked how when it was fizzing, it was blues, pinks and yellows but once it was finished I had a sparkly, deep purple bath. It definitely looks like a nights sky while it's fizzing away getting darker and darker the more its fizzes. It seems that this was a limited edition Christmas one which I didn't realise. It came out last year and the year before so I hope it will be out this year too so I can buy another one as I really enjoyed it! Have You Tried Shoot For The Stars? Yum! Looks so good. Would love to try it out. Gorgeous pictures! I want a bath now..